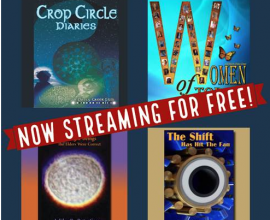 After visiting more than 100 UK Crop Circles and producing 8 films Patty Greer believes she understands how Crop Circles happen and why they are so important for humanity. Our worldwide food supply is in danger and she believes the technology happening in real Crop Circles has the ability to vastly improve our organic seed supply and plant yield. “Crop Circle Diaries” won 2017 Best UFO Film & People's Choice EBE Awards at the Intl. UFO Congress - offering important NEW science. 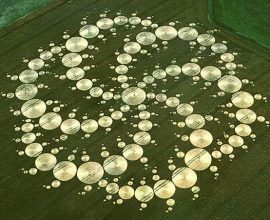 The seeds hit by plasma vortices creating Crop Circles grew 30-400% MORE food/biofuel and became Super-Seeds in the fields!! This technology must be extremely important because Patty Greer has been one of the most hacked UFO filmmakers in history! Our food and water need attention NOW. Please help us get this technology out to the masses! 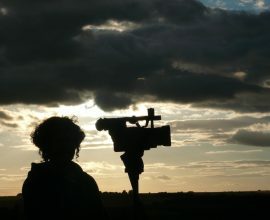 The intention with this crowdfunding drive is to advertise 8 important UFO films far and wide and distribute them independently through newspapers, magazines + social media catering to new paradigm consciousness. Patty Greer does a lot of radio and internet interviews and has appeared in 3 new UFO inde feature films. She has faith that we are close to a Great Shift in Human Evolution and teamwork will make a HUGE difference as we raise our frequencies to create a better world together. Thank you gifts for your kind donations are Greer's award winning UFO films, unique Limited Edition Crop Circle T-shirts and custom Crop Circle fridge magnets. Your support has never been more important!